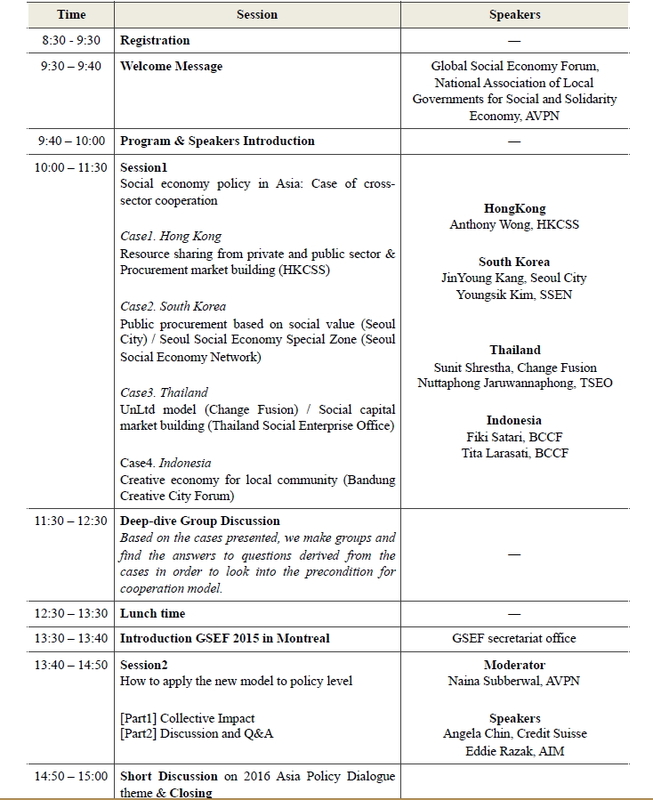 Theme: Multi cross-sector Cooperation of Social Economy Policy in Asia: What is Asian Model? Date: 4 November, 2015, 9:30 a.m. – 3 p.m.
Korean-English simultaneous interpretation is provided. Organiser: Seoul Social Economy Support Center, C.